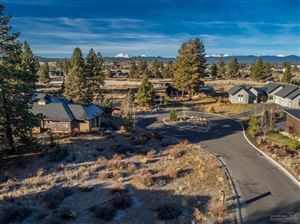 Tetherow is a 700 acre golf and recreational planned resort community in Bend, Oregon. Upon completion, there will be a combination of 375 single family home sites, 200 townhomes, 300 overnight lodging units, a spa, clubhouse and world-class golf course. 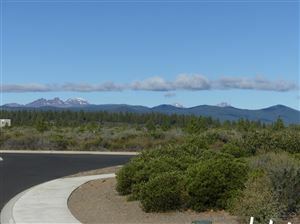 Approximately 7 minutes from downtown & the Old Mill District, and 20 minutes from Mt. Bachelor, and abutting national forest service land Tetherow’s location is premium and hard to beat. The golf course was rated “Best New Course You Can Play” by Golf Magazine in 2008 when it opened. Designed by world-renowned golf course architect, David McLay Kidd, who is also the award-winning architect of Bandon Dunes (Oregon), Nanea (Hawaii), and the new Castle Course at St. Andrews (Scotland). This “Heath” style course is distinctive, entertaining, and sets itself apart from all the other courses in central Oregon. Not only in style but by being the first (and up to now only) fully Audubon International Certified Signature Sanctuary in the state, one of fewer than 50 courses worldwide to achieve the certification. You will not only marvel at the layout and the environmentally sound principals continually integrated into every aspect of the course, but the views are stunning.